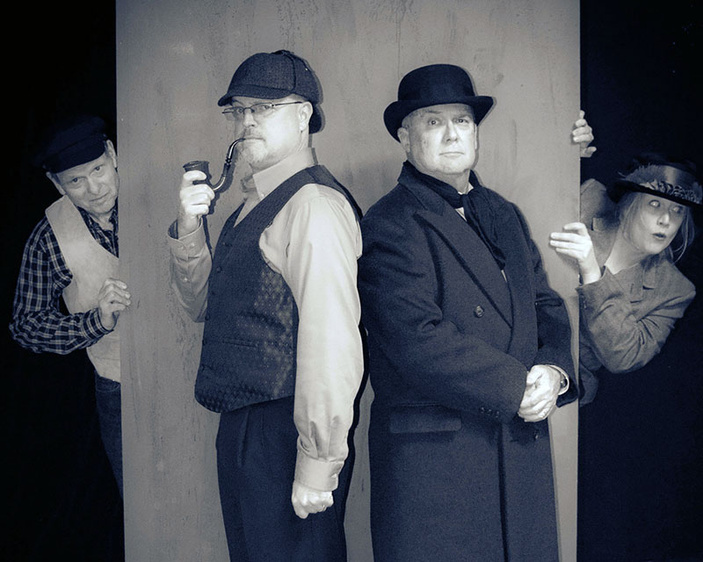 The game is definitely afoot at the Hill Country Community Theatre thanks to its upcoming production of “Ken Ludwig’s Baskerville: A Sherlock Holmes Mystery,” which opens Feb. 14 and runs through March 3. From the “mastermind of mayhem” Ken Ludwig, comes the world’s most famous detective and his trusty sidekick, who face down their most notorious case of all in this madcap retelling of the ultimate Victorian whodunit. The delightfully complex plot takes twists and turns as Holmes and Watson race against time to crack the mystery of “The Hound of the Baskervilles” before a family curse dooms its newest heir. The intrepid investigators’ search for the (anything but elementary) truth comes complete with a dizzying web of clues, outlandish accents, disguises, and deceit. Does a wild hellhound prowl the moors of Devonshire? Can our heroes discover the truth in time? These and many more questions are just waiting to be answered. The story is a deft mix of comedy and drama. “I have never been so excited and proud,” said Kay Baker, who directs the play. “This audience will love this show as much as this stellar cast has enjoyed putting it together.” Stan Farmer will play the charismatic and cunning Holmes on his search for the hideous Baskerville beast, whose legend has haunted Baskerville Hall for years. Holmes is joined by his associate and compelling narrator Dr. Watson, played by Tyler Cox. Joining Farmer and Cox to play a host of characters are Graham Avery, Bess Gershowitz, and Doug Hart. The trio brings 38 vivid characters to life, including the unwitting victim, Sir Charles Baskerville, his close friend Dr. Mortimer, and Holmes’ loyal landlady, Mrs. Hudson. They often change characters in the same scene, bringing energy and excitement to the multiple roles. This pace and complexity is nothing new to the Hill Country Community Theatre, staged the comedic hit “The 39 Steps” last year. It featured four actors in a similar number of roles. This version of the Baskerville story is definitely a comedy, but it is also a Sherlock Holmes mystery. The play is designed to thrill audiences with plenty of suspense, danger, and laughter. Performances for “Ken Ludwig’s Baskerville: A Sherlock Holmes Mystery” are 7:30 p.m. Thursdays, Fridays, and Saturdays and 2:15 p.m. Sundays at the theater, 4003 FM 2147 West in Cottonwood Shores. Admission is $20 for adults and $10 for students with valid identification. Tickets go on sale to the general public on Feb. 7. Season subscribers may begin making reservations Feb. 4. Visit thehcct.org or call (830) 798-8944.